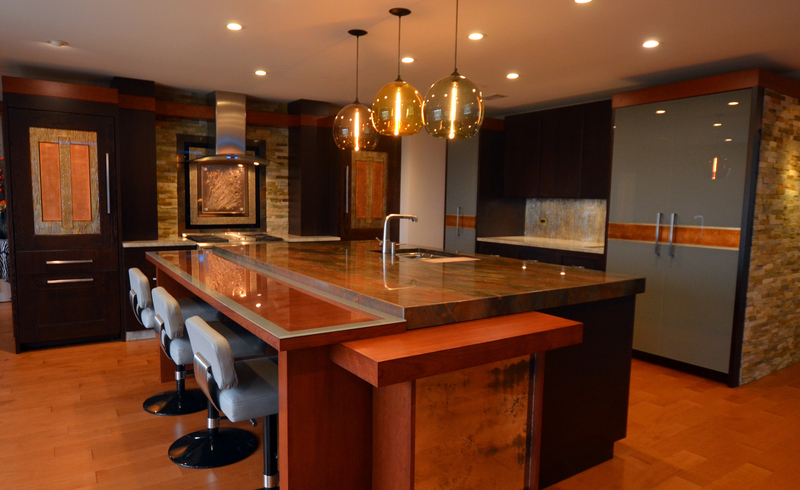 Sheri Law, owner of Sheri Law Art Glass Ltd., created a stunning showroom in Homer Glen, Illinois, combining our Monogram appliances with her artistic vision of using customized art glass treatments to provide a unique look. 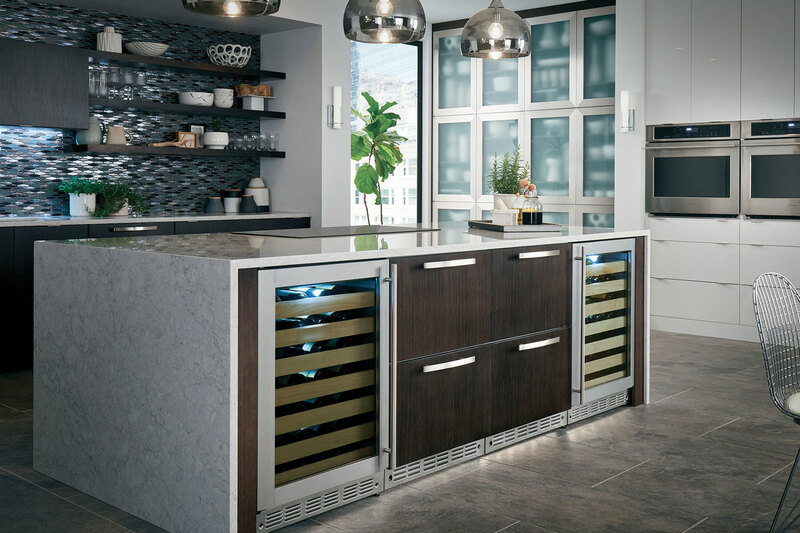 In this photo you can see the custom refrigerator insert panels she created using a dramatic carved design embellished with metallic paints and leaf. 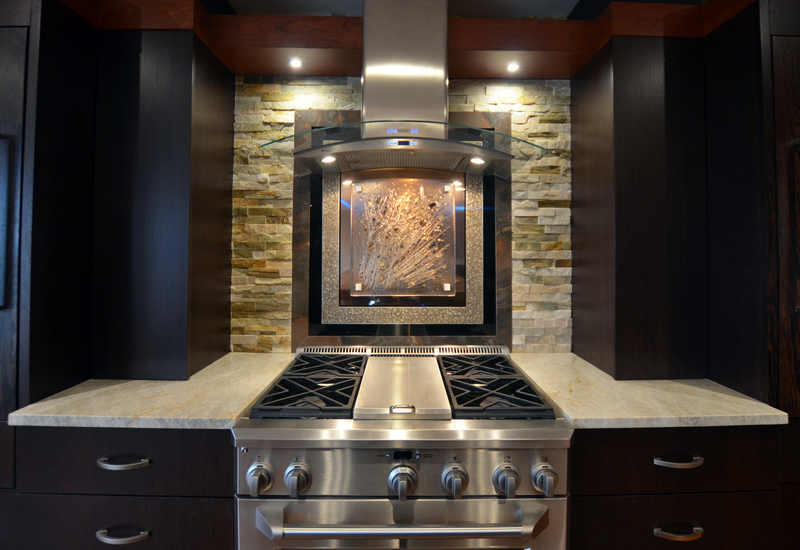 Sheri also created a focal point backsplash behind the Monogram 48” Pro Range, using a fused glass technique. According to Sheri, fused glass as a home décor treatment is quickly becoming her most requested glass art style. Her style of back painting the fused glass on backsplashes has been popular for several years, and the trend continues to grow. More than ever art glass is making its way into the kitchen. The doors are opening – including the refrigerator doors.